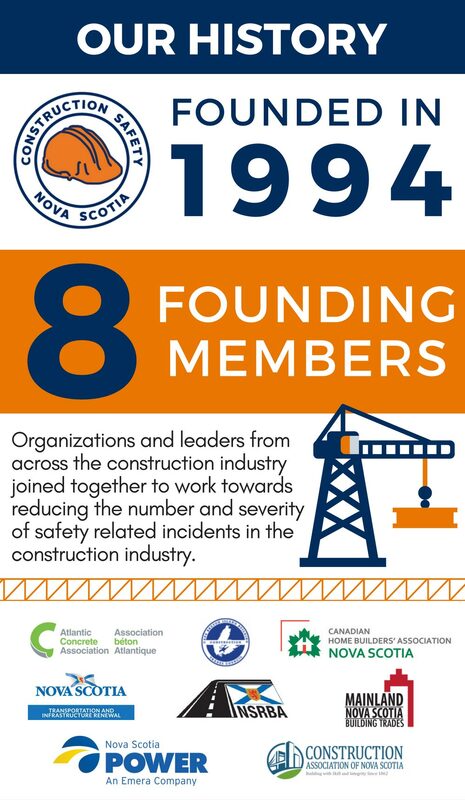 Construction Safety Nova Scotia is an industry founded and funded membership based not-for-profit association. We are focused on improving Occupational Health & Safety outcomes in the construction industry. Our Board of Directors and our team work towards a safer construction industry by engaging with our membership to reduce injuries and improve safety culture. We are leaders in Occupational Health & Safety and through collaboration with industry partners, we are making Nova Scotia safer. We provide training and services with qualified, competent, and engaging safety professionals. We work with construction employers & employees, youth, and people throughout Nova Scotia helping them develop the knowledge, values, and skills needed for safer work practices. We offer a variety of training and mentoring opportunities through the Certificate of Recognition (COR) training, the Safety Culture Project, and the Construction Entry-Level Training (CELT), in accordance with Occupational Health & Safety Legislation. We work within ISO 9001 standards to be compliant, safe, and efficient for our members and province. 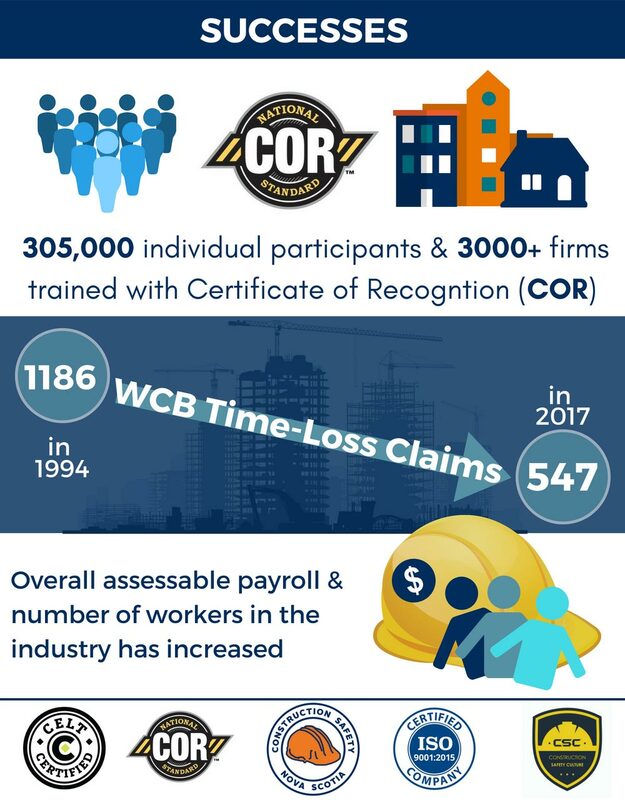 Members of Construction Safety Nova Scotia are any firms registered with Workers Compensation Board of Nova Scotia under the construction industry classification codes 4011-4499 & 3551. In collaboration with our members, we work diligently to affect a positive culture shift in the construction industry of Nova Scotia.